July 15, Cape Canaveral Air Force Station, FL — Today’s successful GPS IIF-10 mission launch marks the 110th launch with Atec manufactured and tested valves for Rocketdyne’s RL10 engine. 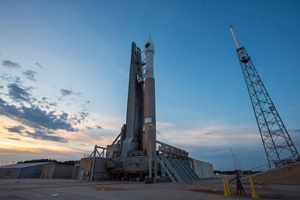 The Global Positioning System blasted off on a United Launch Alliance Atlas V rocket this morning at Space Launch Complex 41 in support of the USAF. This year celebrates 20 years since the USAF declared the GPS fully operational, back in July 1995. Over the years, the GPS has become a part of our everyday lives; from helping provide our warfighters with navigational assistance on land, air, and at sea, to providing up-to-date time and location information to civilians worldwide. The GPS IIF-10 satellite incorporates many improvements and will be 12,000 miles up, and joining other active geo-synchronous satellites orbiting the planet. Since 1997, Atec has been proud to manufacture and test liquid fuel engine components crucial to successful Atlas and Delta Rocket launches. Our company’s space involvement continues to grow, and we are now also manufacturing complex electromechanical hardware for the International Space Station. The Atec companies understand the critical nature of these missions and place quality and safety above everything else. Today’s launch comes on the heels of yesterday’s momentous Pluto flyby for the New Horizons spacecraft, which was launched 10 years ago using Atec-manufactured cryo fuel valves. “Atec’s 50+ year pedigree in space stems from the earliest days of NASA’s efforts to put a man on the moon. Our early founders built many of JSC’s test facilities in Houston, as well as the Vehicle Assembly Building and Crawler at Cape Canaveral. Atec’s failsafe engineering and manufacturing benchmark has us well-positioned to continue our long, proud involvement in the U.S. Space Program“, said Howard Lederer, Atec Chairman. 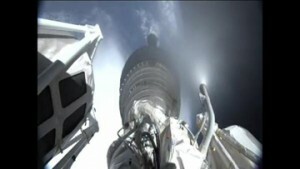 Congratulations to all that worked on making today’s launch a success. Atec looks forward to supporting future launches and in-space missions.